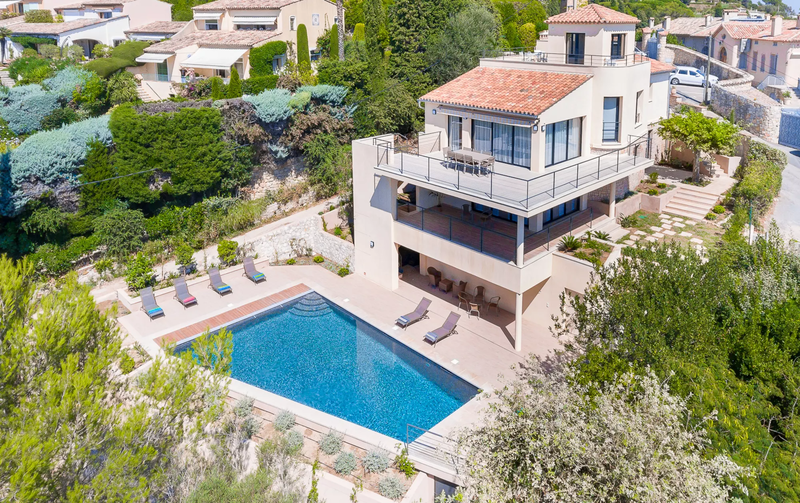 Villa Lumineuse is fresh, light, fully air conditioned and has a private heated pool. 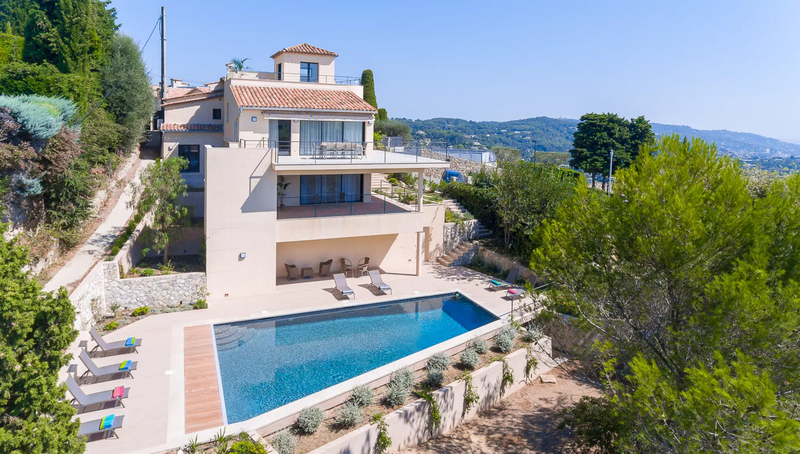 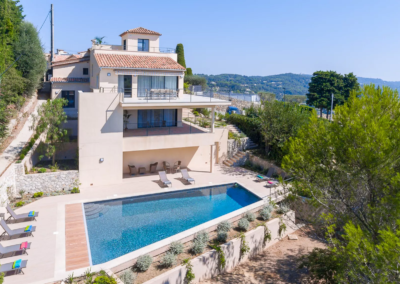 This villa oozes luxury and offers sublime views of the bay of Cannes. 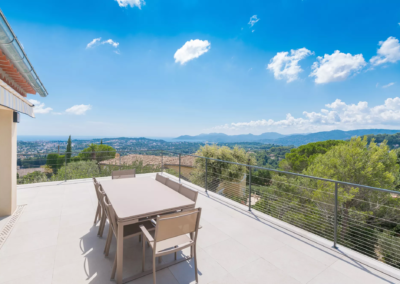 Within walking distance of Mougins, you can enjoy a delicious meal at one of the many restaurants. 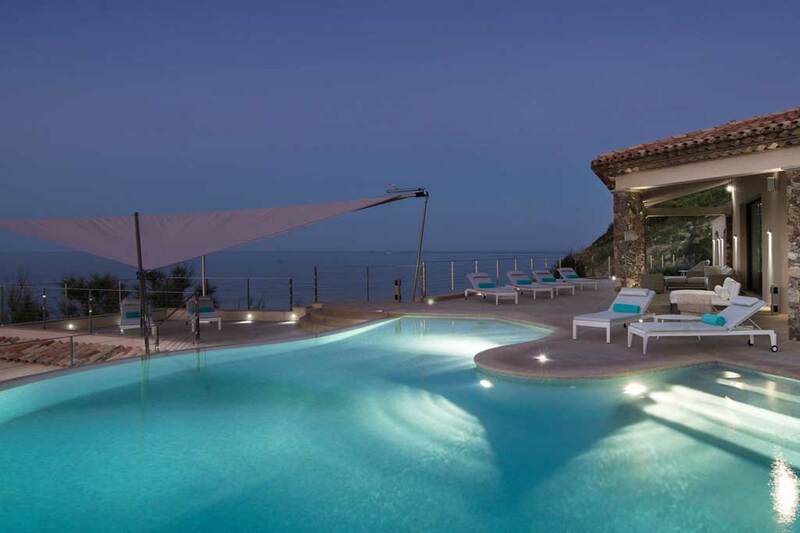 Soak up the breath-taking panoramic sea and mountain views in this serene setting. 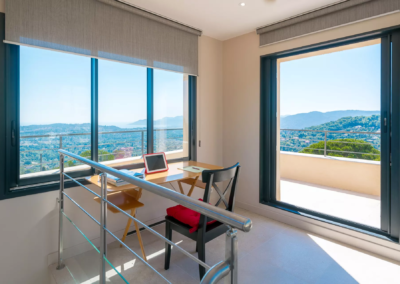 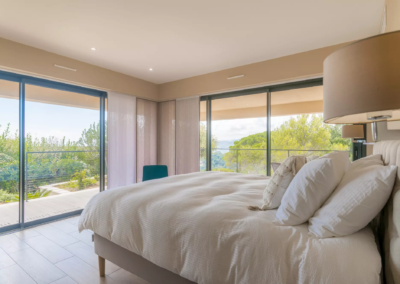 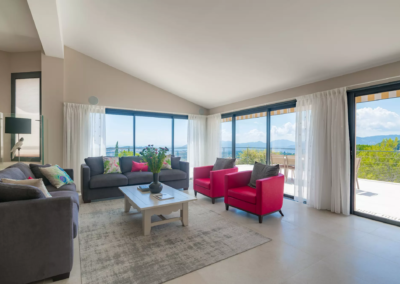 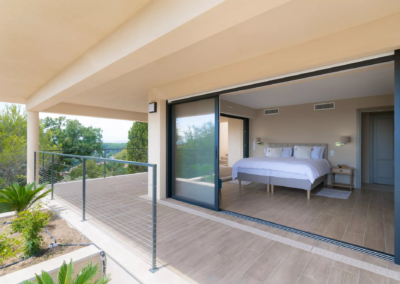 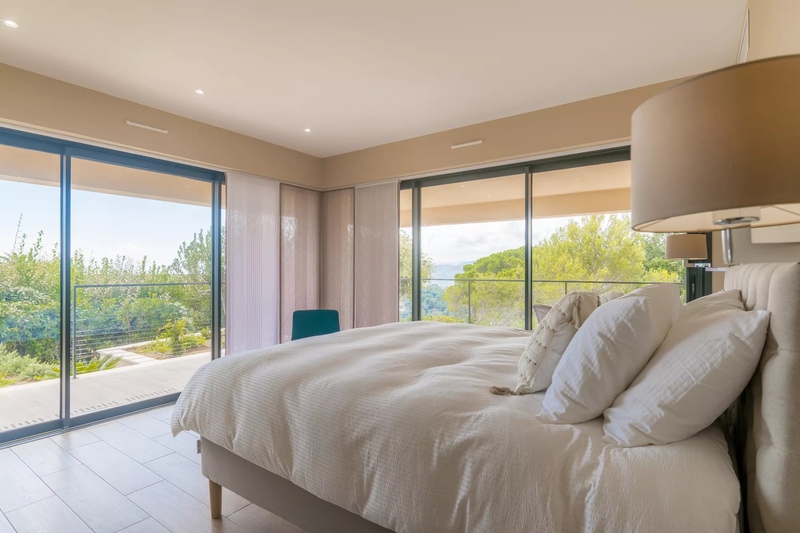 This is a unique, contemporary villa, set out over several levels; from the tower room and terrace you will truly benefit from the most fabulous views. 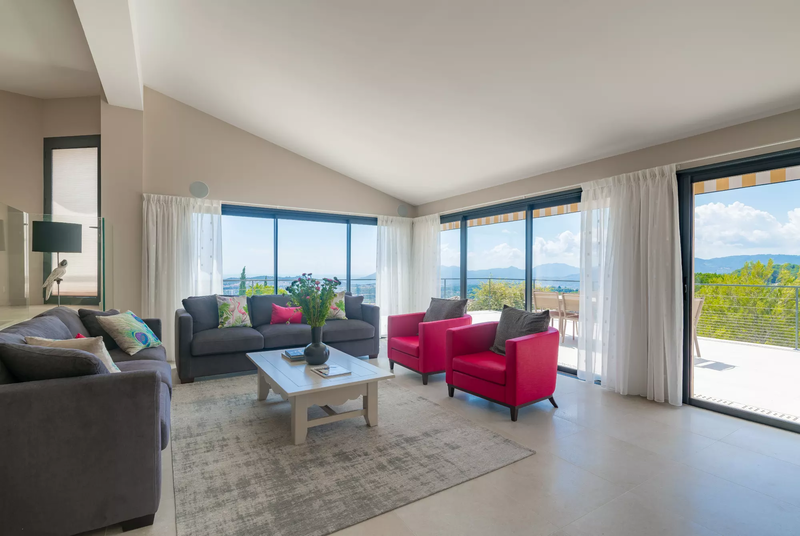 There is a feeling of calm in this beautiful, stylish, villa, with the spacious open plan living area leading out onto a large terrace. 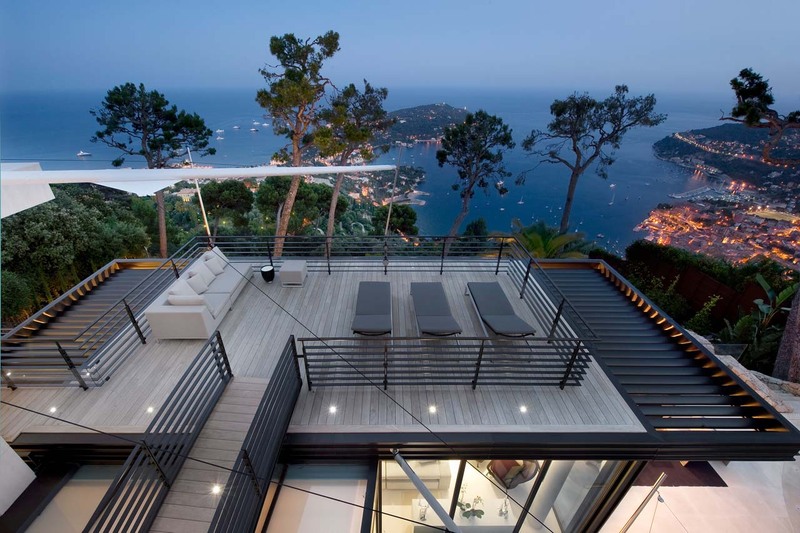 The floor to ceiling windows make it bright and airy. 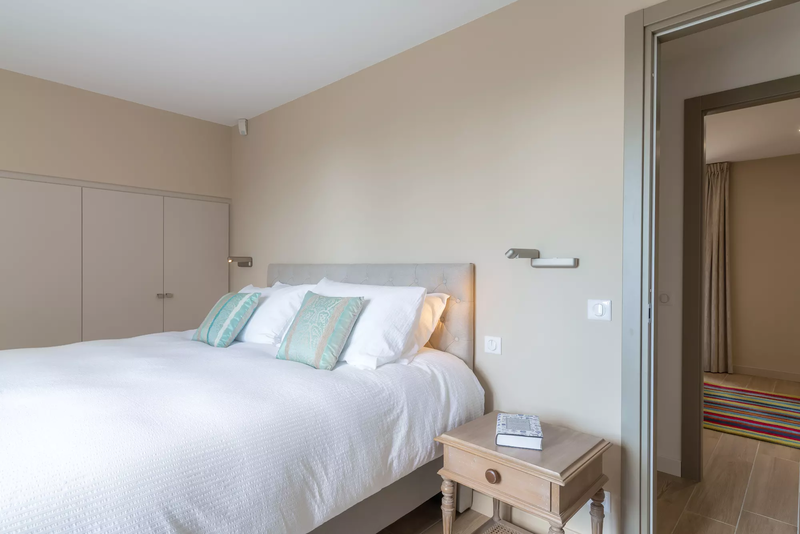 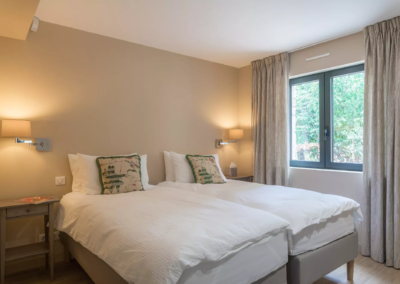 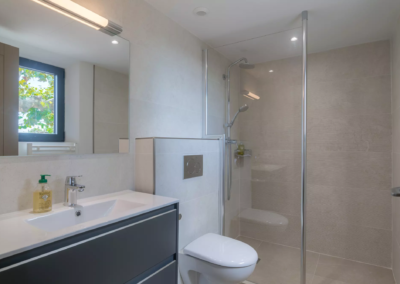 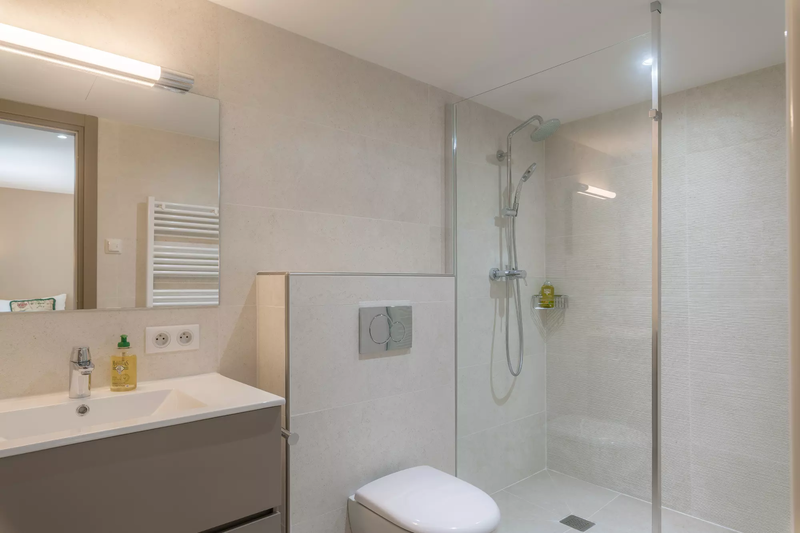 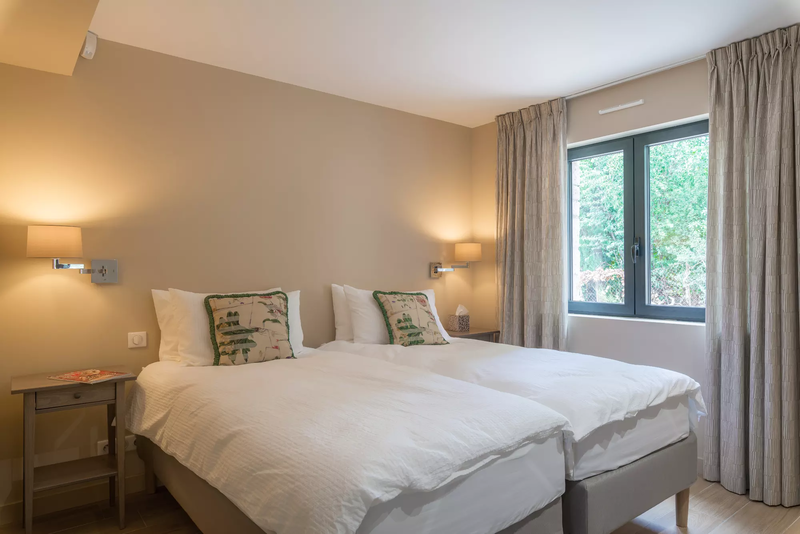 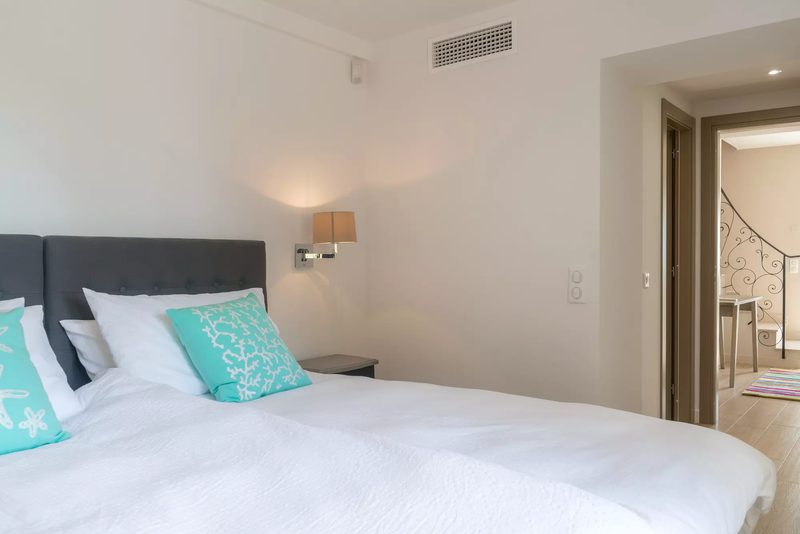 All the bedrooms are on the lower ground floor; they all benefit from ensuite facilities and are fashionably elegant. 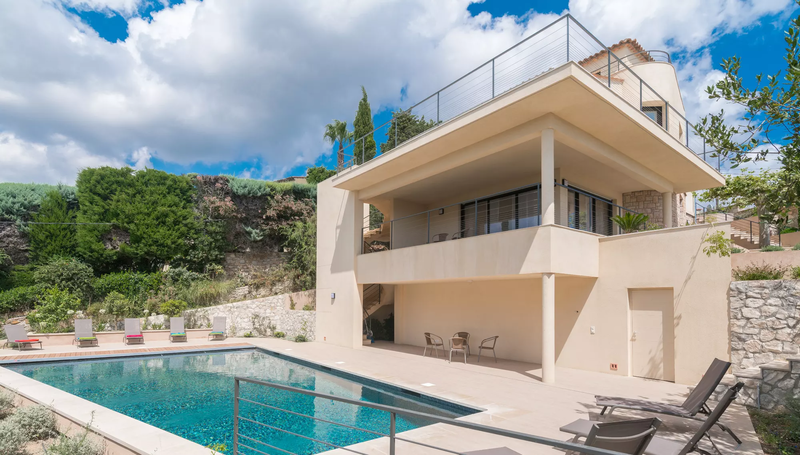 There is plenty of outdoor space for dining or relaxing by the pool. 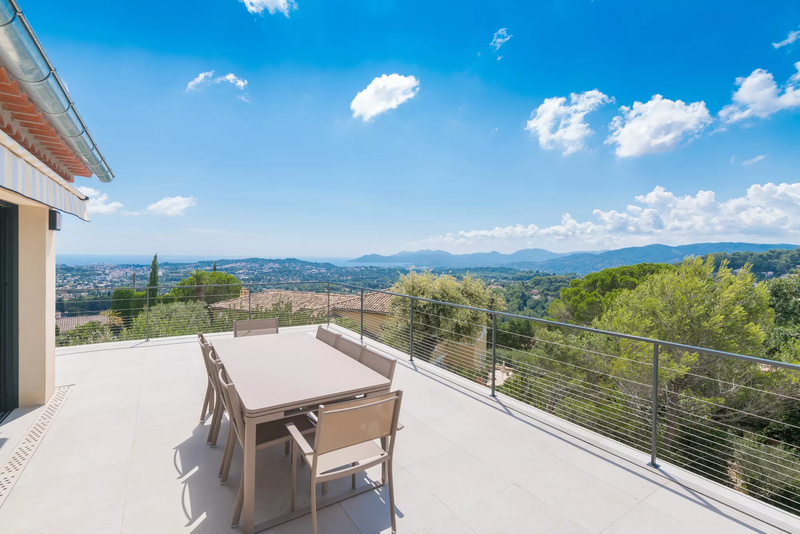 Mougins is a pretty medieval village situated on a hill, known for its art and gastronomy. 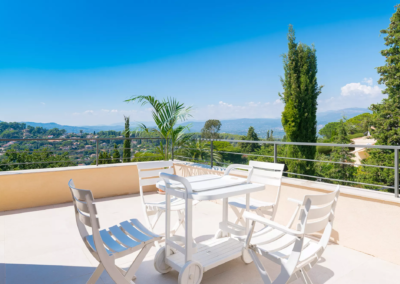 Take a trip up to the Table d’Orientation to experience the wonderful views. 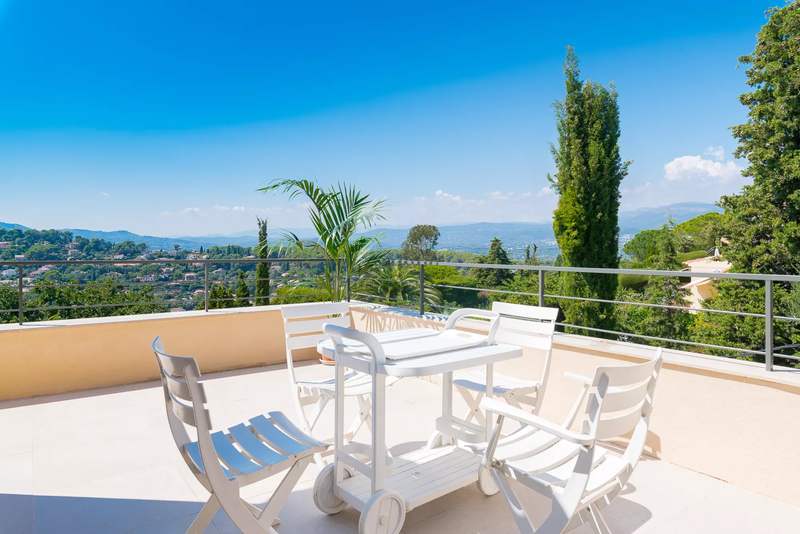 This charming, historical village boasts a wide selection of top quality restaurants; a gastronomic heaven. 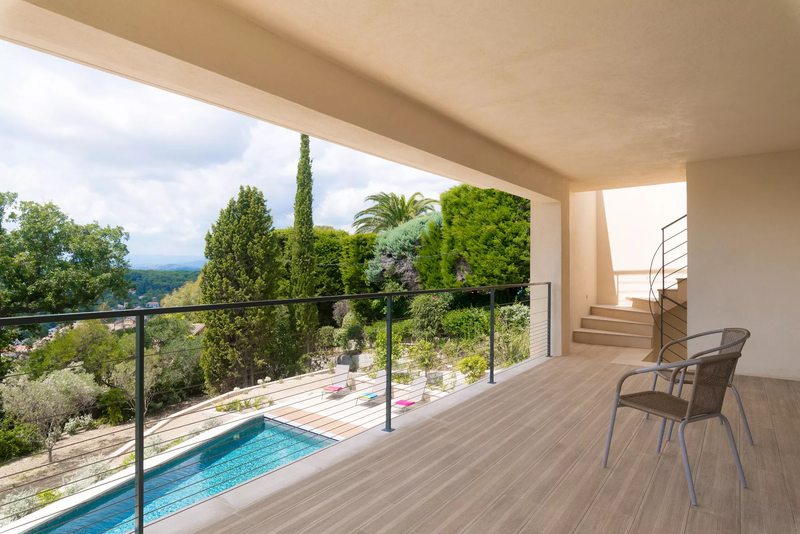 For art lovers, there is the Museum of Classical Art in the centre of Mougins; many famous artists are said to have lived in or near Mougins. 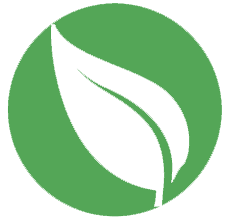 If you like walking and nature the Valmasque Park is not far away. 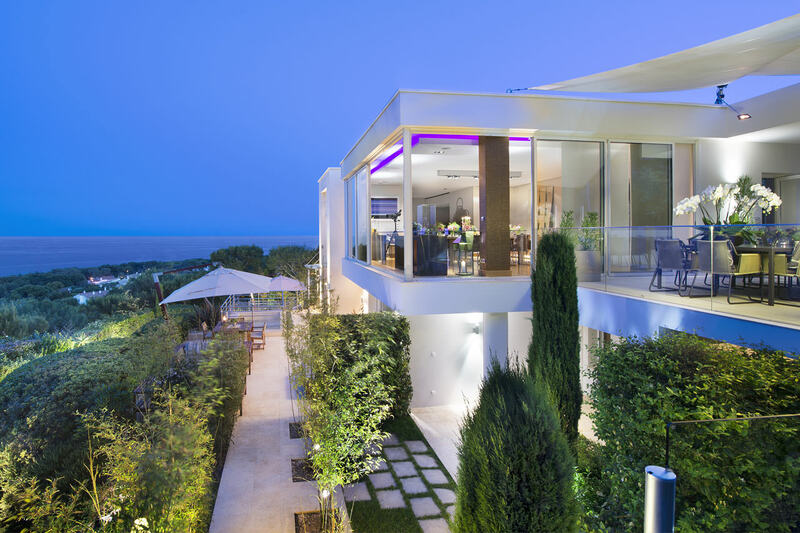 The busy coastal town of Cannes is only a short drive away where you can enjoy the beach and chic shops. 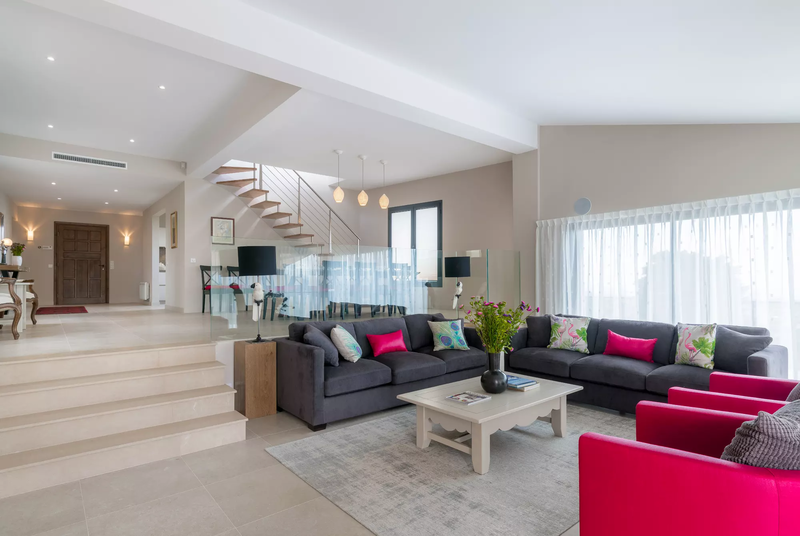 Large open plan kitchen and dining area, with floor to ceiling windows and doors opening out onto large dining terrace with stunning views. 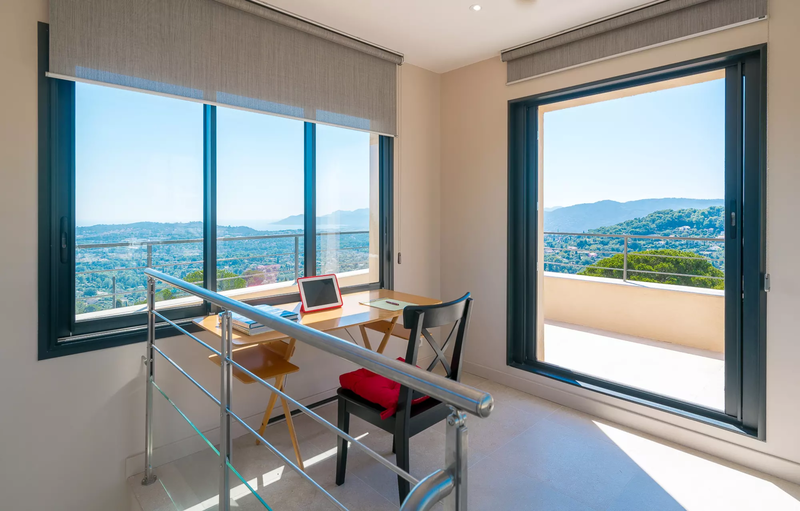 Small office with amazing views and access to small outdoor terrace. 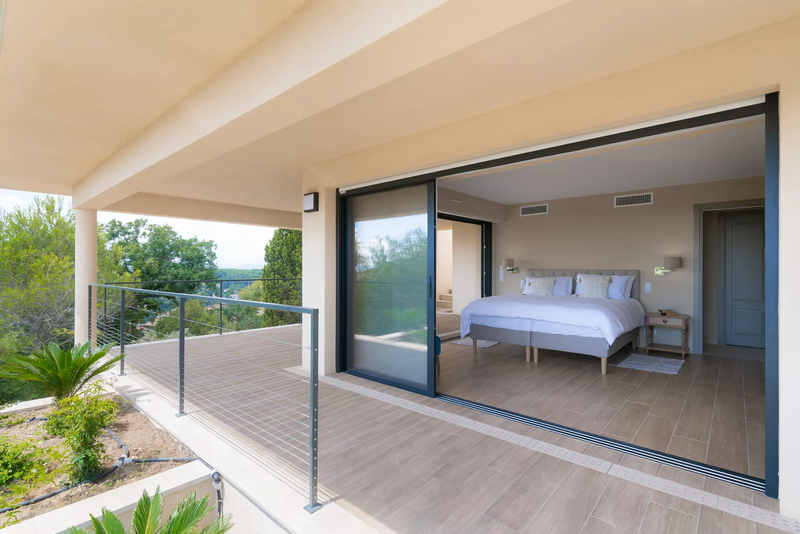 Master bedroom (1.80m) floor to ceiling patio doors onto terrace with views, walk in wardrobe and ensuite bathroom. 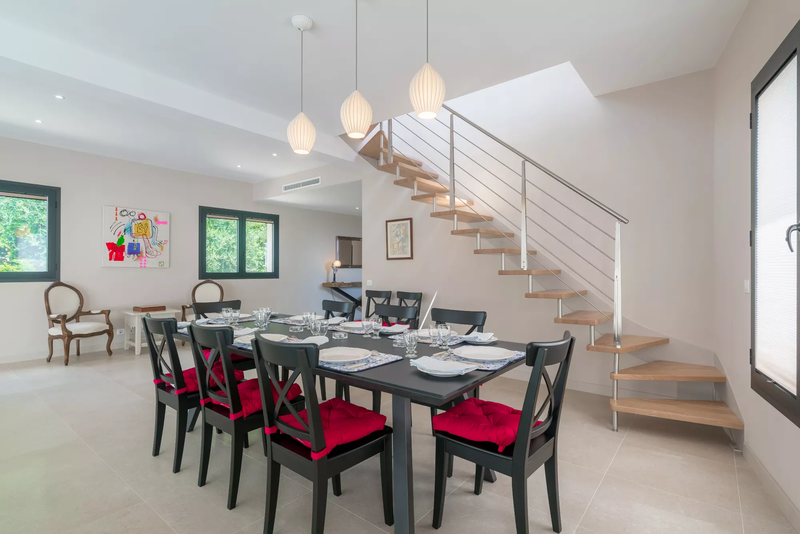 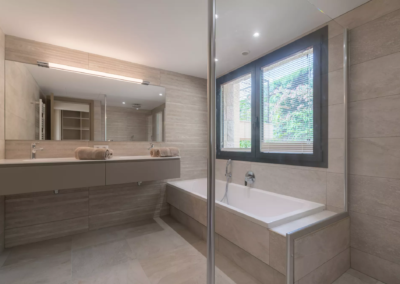 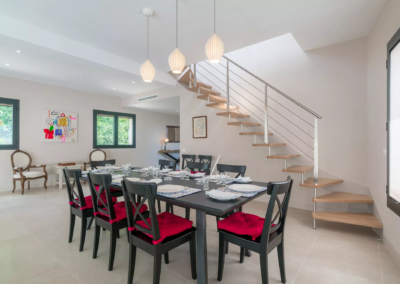 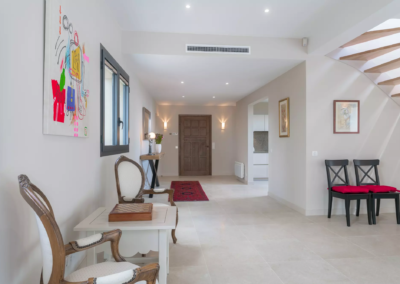 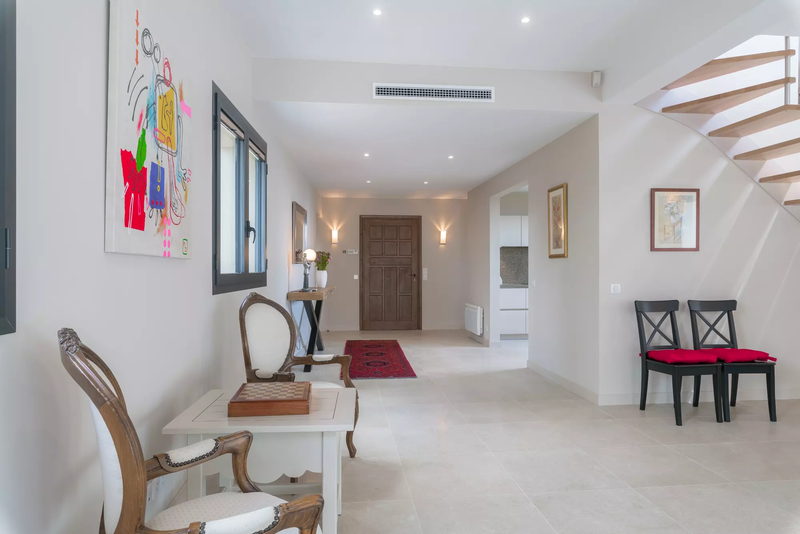 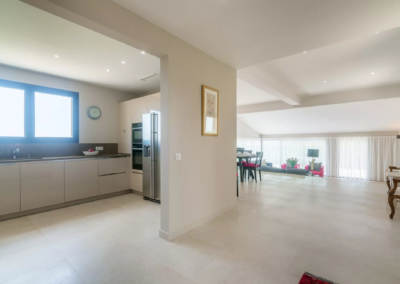 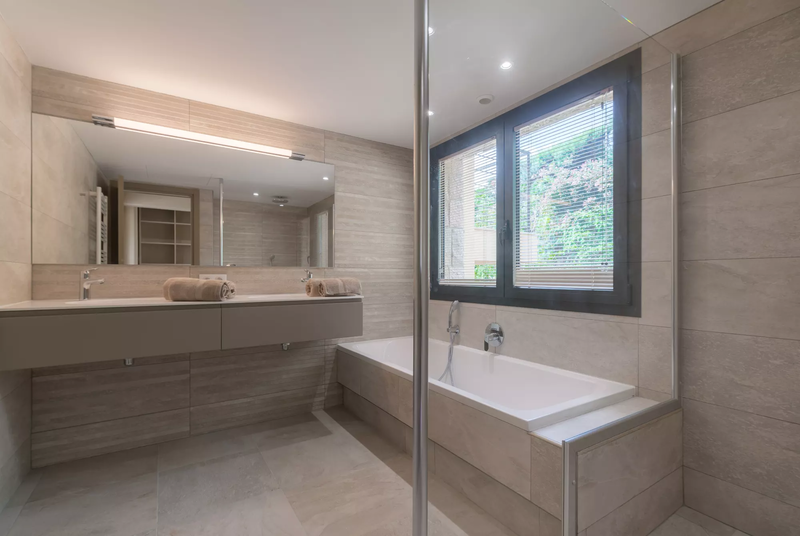 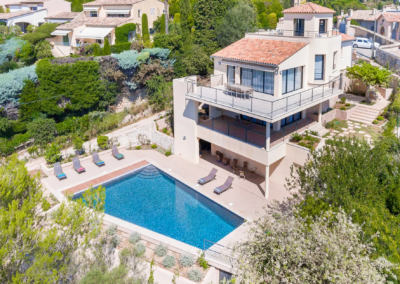 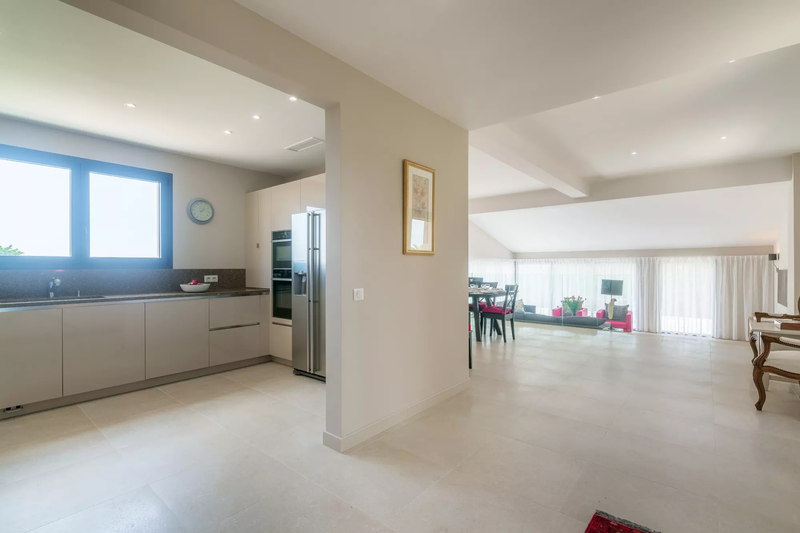 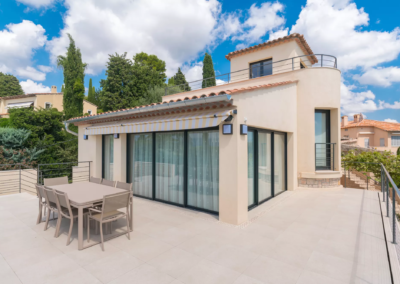 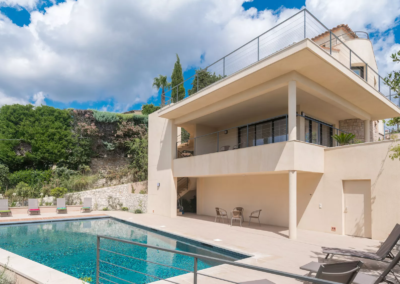 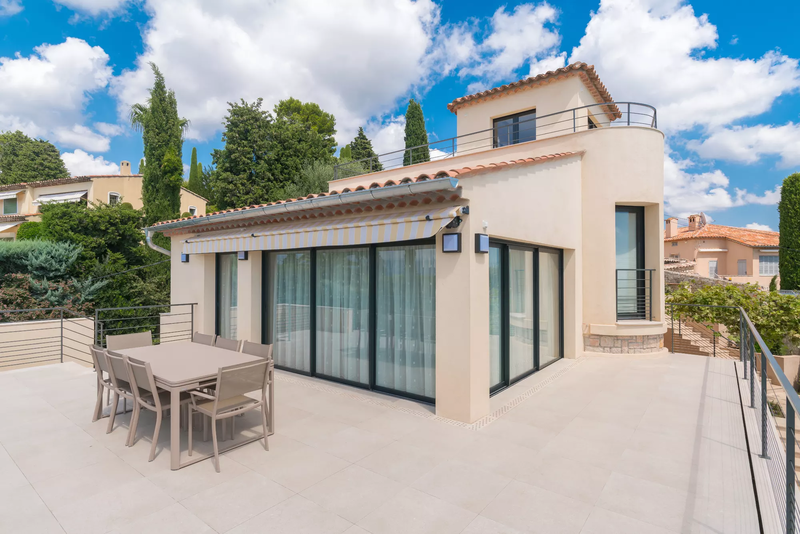 The spacious bright interiors and the closeness to Mougins’ restaurants and shops.